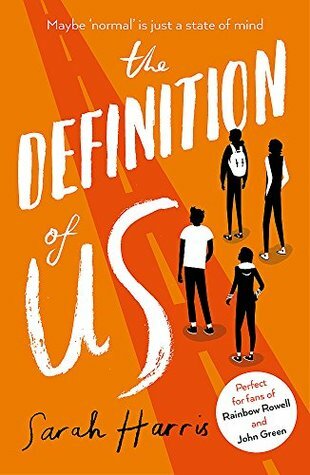 The reason why I chose to read The Definition of Us is that it is a very short book and I really wanted a small win after being in a reading slump towards the end of the October. Also, there is a lot of representation of mental illness in this book. Thank you so much to Jonathan Ball Publishers for providing me with a copy of this book. Just a small disclaimer for those reading this review. I have received this for free. Please note that this does not affect my opinion in any way. All thoughts are my own. The writing was okay. There wasn't anything in particular that stood out for me. I really enjoyed the multimedia, where the reader is able to see the small lists that Florence makes. It is a good break from the pages of content. I liked how well the characters relationship is represented in the writing and the emotions of Florence who control our narrative. The plot at first glance is about this adventure that four teens go on but when you look deeper it's about these teens who are struggling to find comfort in what they consider to be the normal world. The characters attempt to find their therapist because life without him seemed difficult. I really enjoyed how the author brought them together in different situations, where they could learn more about one another. I really liked these characters. They were likeable and they let you sympathies with their situation because we all get attached to people sometimes. I did, however, find that they weren't quite developed but in this short book, it did not make a big difference. Overall, this was a great book. 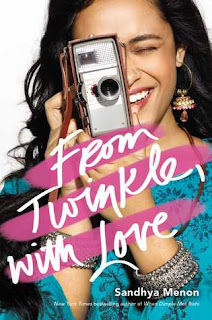 I highly recommend it for those who want a quick read and who want a summer contemporary. I personally believe that the representation in this book is quite good. The writing was not amazing but it stilled pulled who in. The plot is where the book shined the most. It was interesting and heartfelt. The characters were likeable and made the reading experience both enjoyable and in some way educational. Thank you so much to Jonathan Ball Publishers for providing me with a copy of this book to review.